A man has been sentenced to 26 weeks in prison for stealing from passengers on board trains in Lancashire. 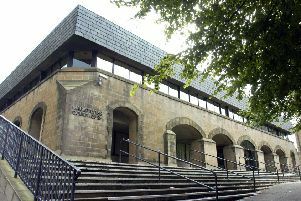 Kieron Brannon, aged 31, of Howgill Avenue, Lancaster, pleaded guilty to two counts of theft at Preston Magistrates’ Court on March 29. Both offences happened on February 21 this year. In the first incident, Brannon stole a wallet from a 49-year-old man travelling on a Birmingham to Glasgow service. In the second incident, Brannon stole a 68-year-old woman’s handbag as she slept on a train between Oxenholme and Preston. Brannon was identified after he was identified following a British Transport Police witness appeal. He was arrested and charged on Tuesday March 28 and pleaded guilty to the offences at court. A spokesman for British Transport Police said: "We would like to remind passengers using the railway to stay alert and aware of what’s going on around you, register your gadgets at www.immobilise.com and always use your phone’s security lock or PIN."